My name is Darwin Bonifacio and I am the Regional Director at Coding with Kids, the largest computer programming academy for grades K-12 in the Pacific Northwest. We started offering our programs in the Portland Metro last year and now are in over 40+ schools in the area. We have been approved to be at PPS and currently offering multiple classes at Laurehurst, Ainsworth and Glencoe just to name a few. I wanted to reach out as I will be sending over a CUB shortly. 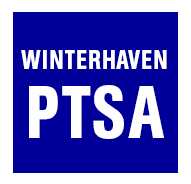 I have had strong interest from families who are interested in bringing our after-school Coding Program to Winterhaven School. Our program has been proven in 150+ public and private schools in PNW. Our mission is to inspire future generations to dream big and foster their love for science. At Coding with Kids, we are inspiring the next generation of innovators. Coding with Kids curriculum grows with our students, taking them from the beginnings through quite advanced coding concepts. We make our classes fun and creative, where kids build their own quizzes, math tools, games and animations. We also focus on teaching core programming concepts and good coding practices - great skills for any future career, from technology experts to fashion designers. We try to simplify the program logistics for you. We can teach in a school computer lab or can bring in our own laptops and teach in any classroom or a library. We offer online registration and are responsive to any specific needs of each school. Our team believes that all children should have the opportunity to learn coding. In this century, it will become an essential skill. I would love to have the opportunity to meet with you or talk with you on the phone. Please let me know what time would be convenient with you. I can be reached at 650.278.2687 (cell).